At Beauty High, we constantly have new products crossing our desks and we’re always on the hunt for the next best thing. “The One Thing” is our way of sharing with you that must-have product that you absolutely need to try right now— whether it’s from a drugstore or a department store. You might consider makeup primer another step in an already too-long beauty routine, but here’s the thing: They really work. And while most do a bang-up job of keeping your makeup in place for hours on end, we’re especially impressed with Dolce & Gabbana’s brand new version, which also hydrates like crazy, giving our skin that dewy look most beauty junkies have tried to achieve at one time or another. This base not only keeps foundation, tinted moisturizer, or BB cream in place, but it also boosts radiance, and plumps up skin with a mix of light-reflecting particles and elevated ingredients (Gold silk sericin and Italian olive oil, anyone?). The second you apply it, you look less tired and more hydrated, unlike some other primers which tend to give skin a matte cast. It’s infused with SPF 30! It’s fragrance free (let’s be honest: primer doesn’t need to have a pretty scent). The primer works wonders underneath makeup, effectively removing any chalky texture that even the most luminous foundation can sometimes have, but it also works wonders on its own. 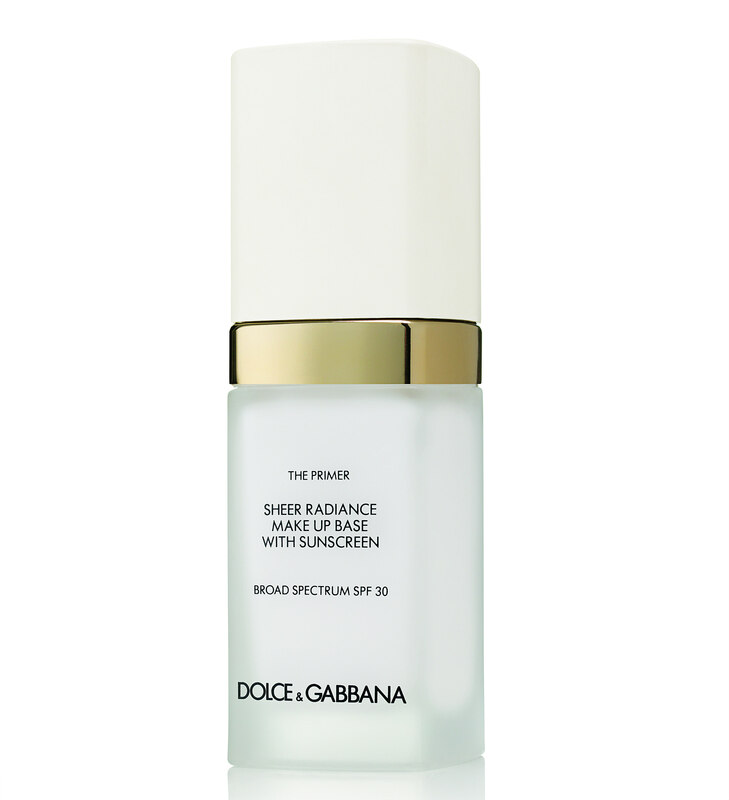 On days when we’re not feeling like going full-face, we’ve been using a pump or two of the D&G primer before we head out the door, and it definitely improves radiance, and it hydrates without the reflective thickness that comes from slathering on moisturizer first thing in the morning.